The birth of the Moon is believed to have happened some 4.5 billion years ago after a catastrophic collision between the Earth and another celestial body, the size of Mars. The Giant Impact Hypothesis has stood its ground for decades and it was strengthened by the size of the moon and its orbit around Earth. However there were doubts also and the similarities between the chemical compositions of the two celestial bodies were also confounding. This week a number of papers which has been published in Nature this week have helped to bolster the different theories pertaining to the collision. In fact one of the papers dwells in details about the compositional similarities between the two celestial bodies and why their compositions differ from those of other bodies in the solar system. 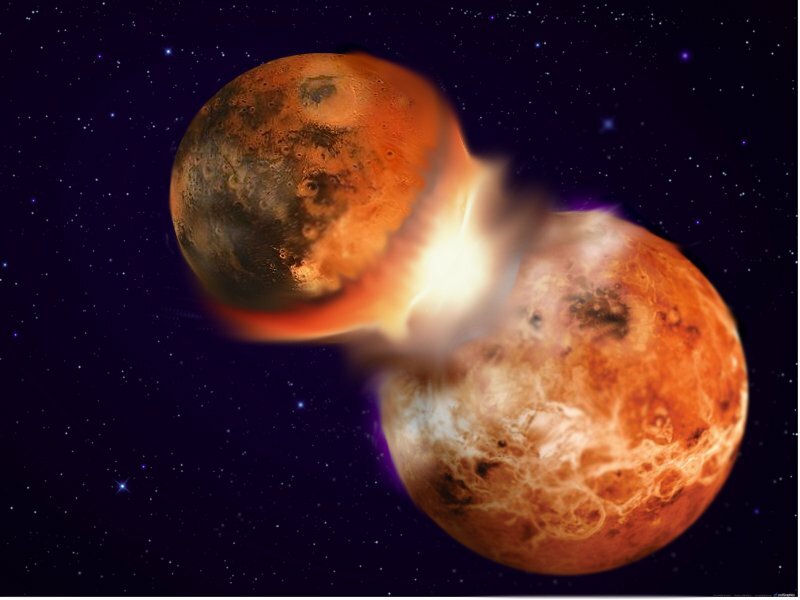 Alessandra Mastrobuono-Battisti and her colleagues had simulated the collisions between the two protoplanets, and concluded that there is a 20 to 40 % chance that the collision produced the moon and it came from planets which had similar compositions of chromium, silicon, tungsten and titanium. This is 10 times the previous estimates. Two teams of researchers looked at tungsten in the rocks on Earth and Moon. The team found that Earth had much less of the isotope Tungsten -182, which would have resulted from the debris and dust left over from collision. Thus the above findings add credence to the theory that the mass of material created by the impact, which later formed the moon, must have mixed together thoroughly before the moon formed and cooled. Photo of tabby cat on stairs goes viral this time: Upstairs or downstairs?